While male body hair is often seen as a sign of virility, new age men shun the thick hair that covers their frames. While chest and back hair has long been unwanted by some, other areas like the legs and pubic area ( called bikini area in Brasil ) are becoming new frontiers for men to explore personal full body Grooming, ( Manscaping ). 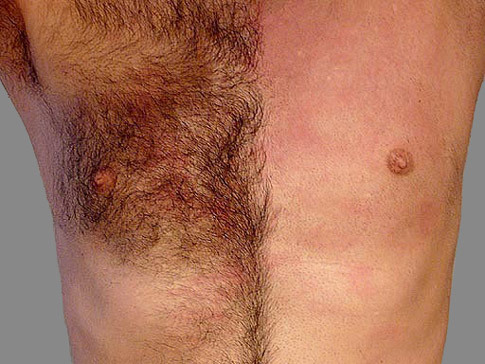 Male hair removal is extremely popular. There is no getting away from it guys. The hair free look is the look of Now. We also offer Fangotherapy, which is a type of treatment where thermal mud that contains high concentrations of minerals are spread over the face to help cleanse, purify, and revitalize the skin. After the mud is applied, the treatment also commonly involves perspiring, and a facial massage. Not only does a fangotherapy session leave you looking radiant (a result from the mud), but it also helps draw toxins out of the face, and help treat skin irritations. Try our massage offer as well. Get in touch with its many benefits. A soothing massage can help you unwind, but that's not all. Explore the possible benefits of massage and what to expect. Express Facial is for all skin types. An ideal facial for those on a busy schedule. Customized to meet specific requirements with High Frequency Waves, deep cleansing, facial massage, and rejuvenating masks. Rejuvenating Brazilian Facial is a complete facial treatment. It will leave your delicate skin looking radiant and fresh. Specially customized to remove dead skin cells and cleanse the pores for smooth, silky skin. Enhanced by the included rejuvenating facial mask. 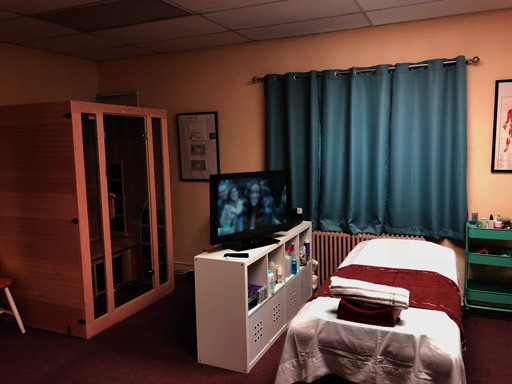 Our Infrared Sauna allows you to soak up the heat, get a little magnetic therapy if you like, and freshen up fast. It helps to correct the body’s magnetic fields, which may become unbalanced. The sauna is great to burn off calories and look slimmer, sweat out toxins, detox and cleanse your body for energy, reduce inflammation for pain relief, release dopamine to feel your happiest, ... and more..